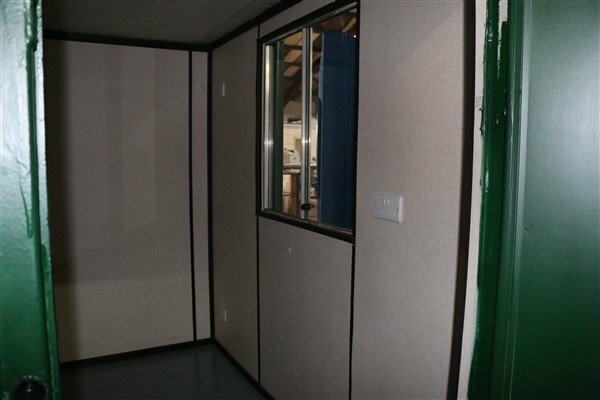 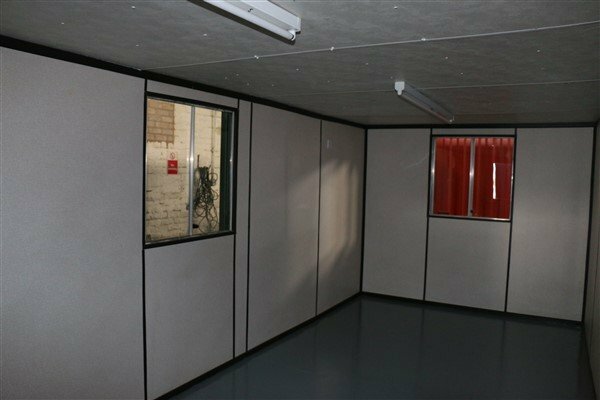 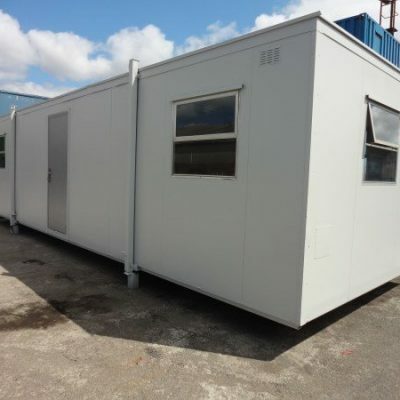 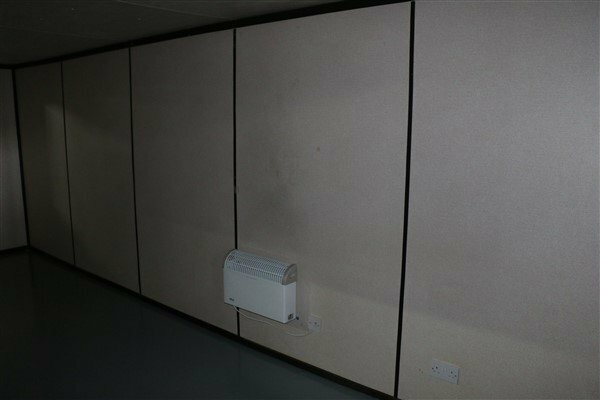 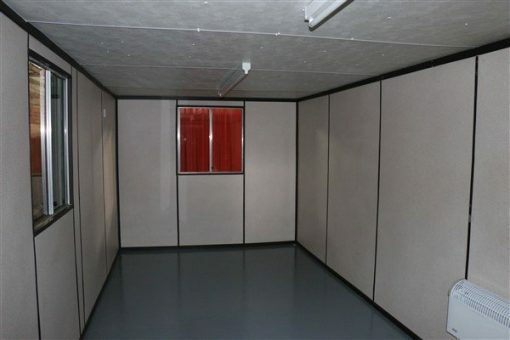 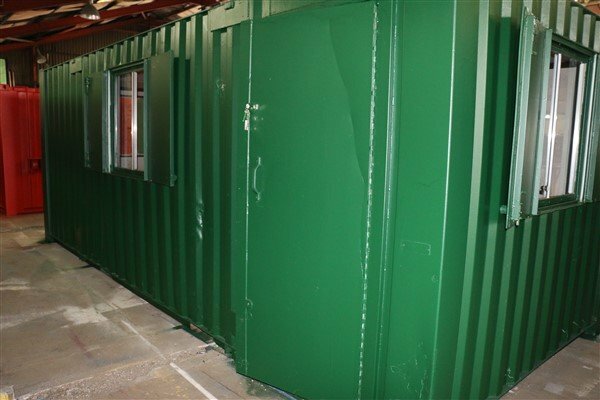 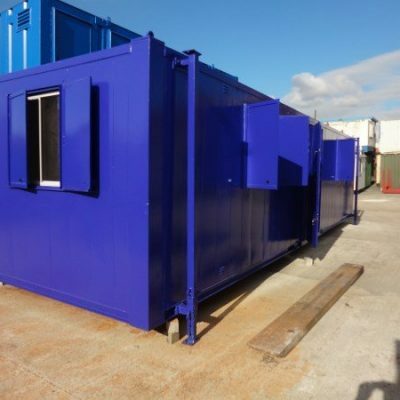 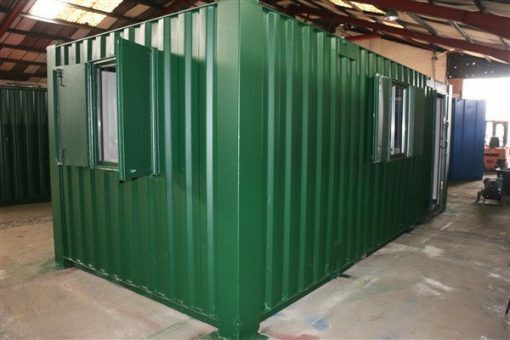 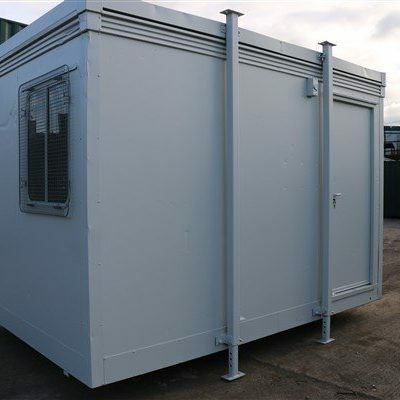 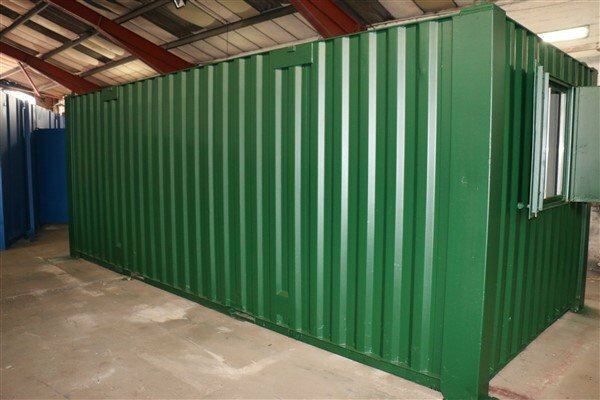 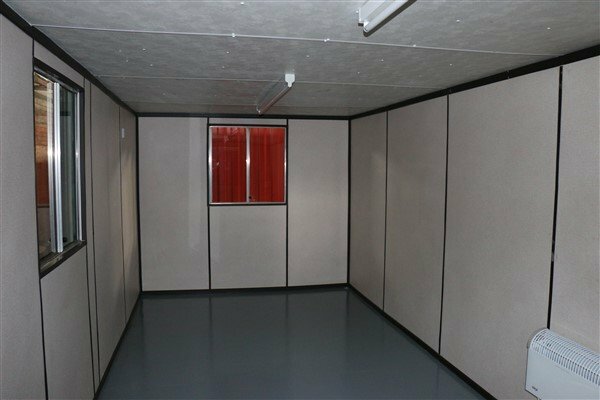 This Portable Cabin is a 21ft x 9ft Anti Vandal Open Plan Portable Site Office. 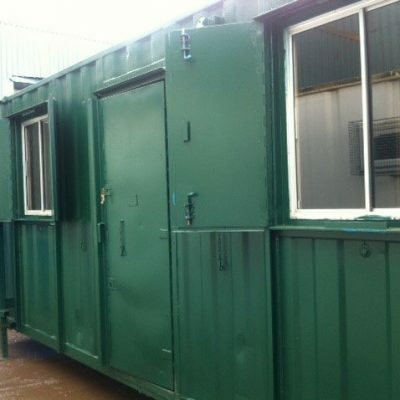 Fitted with an offset steel access door and three windows with steel protective shutters. Cabin is painted 226 green and the interior has full lighting, heating and sockets.